I’ve recently begun a Get Started series that aims at providing some good information for investors starting out but also good reinforcement for veterans out there as well. I figured one of my first articles should be about saving money since you technically have to save money before you have any to invest with. A good place to start is energy comparison to make sure you’re getting the best deal on your energy bills. But your efforts to save shouldn’t stop there, in fact, that’s just the start! If you hail from the UK, you may want to consider searching car insurance companies UK, to see you could be financially better off elsewhere. There is certainly no harm in looking! 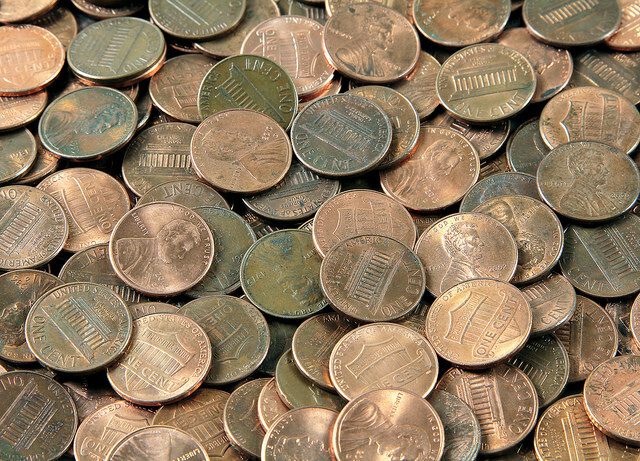 You all know the old adage, “A Penny Saved is a Penny Earned.” Well, it’s also a penny that can be invested! 1.) Stop going to Starbucks! Sorry any SBUX investors out there. You can brew your own coffee at home in less time than waiting in line to get coffee. Even the more expensive K-CUPS or my favorite, the Nespresso machine, are far cheaper options over time. You can save $2 a day, $14 a week or $728/year very easily by not paying retail prices for coffee. With $728, you could buy 18 shares of Coca-Cola (KO) which would produce an income $23.76/year which will keep growing. That’s about $2/month, and would pay for one of your cups of coffee each month already. 2.) Get rid of cable TV! Ok, so this one may be a little harder for people to do. However, I just got rid of it myself and I don’t miss it at all. I was spending nearly $100/month on DIRECTV. I didn’t renew and instead bought a pair of HD antennas to pick up free local channels in HD. That cost me about $30 and is a one-time fee. I also am trying out Netflix, Hulu Plus and already have access to Amazon Instant Video since I’m a Prime subscriber. I’m on a trial at Netflix and will likely just keep my Hulu Plus for TV shows and watch movies on Amazon Instant Video. Hulu Plus is only $7.99/month. If you are a big Game of Thrones fan, you can even purchase a subscription just to HBO through the HBO GO app. So you don’t have to deprive yourself of your favorite shows or movies and can save lots of money here. I’m going to save about $80/month. This is $960/year. With $960, I could buy almost 100 shares of McDonald’s (MCD). These 100 shares of MCD would produce annual income of $34 and growing. Let’s face it; if you’re reading this article then you pay for internet most likely. There’s many providers and the plans are all different. If you don’t know your interenet speed then you can go to one of the many speed testing sites like speedtest.net. I just tried out AT&T DSL and it was not only more expensive but a lot slower than Time Warner Cable that I’ve had before. I switched back to Time Warner and my bill has gone from $50 to $38/month for 50mb/s downloading speed versus about 8mb/s with AT&T. I did some negotiating to get that rate but they said to call in once a year to keep it. I also have my own modem so I don’t have to pay a leasing fee to them. It’s really not that hard to save if you just ask. Savings of $12/month or $144/year. I can buy nearly 4 shares of BHP Billiton plc (BBL) which would produce nearly $10/year in income. I had a friend who made plenty of use of this fantastic broadband price comparison website. If you’re interested, check out these broadband packages. 4.) Use a water filter! Everyone must drink water so this is an obvious area to save in. I personally use a Brita pitcher myself. No more paying $1-$2 for a bottle of water. Seriously, that has to be one of the biggest markups ever right? Your savings will depend on how much you spend on bottled water. I’m estimating that I’m saving at least $40/month after paying for the filters. I purchased these filters on Amazon; 3 for $14.88. That’s $40/month or $480/year I’m saving. I could purchase almost 3 shares of International Business Machines Corporation (IBM). These 3 shares of IBM would provide $15/year in annual income to start with. I seriously am always checking Amazon’s price when I’m at a store. If it’s cheaper on Amazon, then I’ll wait a couple extra days to save the money. This actually just happened. I love cooking omelets and saw this omelet pan that looked awesome selling for $20. I looked it up on Amazon and it was only $13. It’s one of those double sided omelet pans and I can cook an omelet in about half the time now. I also love getting a deal and will shop on Ebay a lot in order to find a product at a better price. This category can greatly vary per person. I estimate I save at least $40/month or almost $500/year on purchasing items just through Amazon. That’s 5 shares of Johnson & Johnson (JNJ) I can buy producing another $15 in income. I’m starting to do this a lot more often myself. Not only am I able to eat healthier but I am saving money and know exactly what ingredients go into my food. My savings here are much higher because I’m used to going out to eat a lot. I probably now cook at least 80% of my meals versus about 20% a year ago. The only drawback is that I’m now shopping at Whole Foods for fish which is not that cheap. It’s cheaper than eating out but I could save more by going to a larger chain grocery store. However, I like the quality of produce at Whole Foods. They are also headquartered in Austin, TX. Heck, I might even invest in some of their stock eventually. I’m easily saving at least $200/month or $2400/year cooking at home. With $2400, I could buy 50 shares of Archer Daniels Midland Co. (ADM). These 50 shares would provide me with $56/year in annual income. 7.) Save on home energy costs! Replace your lights with LED’s. If you have any lights that run for at least an hour/day, then you really should look into replacing them with LED’s. I’ve written about replacing most of my house with LED’s previously in a post titled, I’m Replacing All My Lights With LED’s. I also replaced an older pool pump with a new and much more energy efficient one saving me $720/year. You can find that post here – New Pool Pump Installed. This $720 could buy me over 7 shares of PepsiCo Inc. (PEP) producing about $20 in annual income. There’s many options for this. I will mention a few that I currently am fond of. First, I really enjoy watching movies but I am ok waiting for them to be available through one of the streaming services like Amazon Prime Instant Video, Netflix or Hulu. I’m also very competitive and really into playing a lot of games. One of my favorite online games, that’s totally free, is called League of Legends. If anyone wants to play, let me know. The game is always changing and gives me plenty of free entertainment. I also invested in a bicycle about a year ago. Not only is it good exercise but it’s also fun to ride around in. Reading is also great, cheap entertainment. I read lots of articles every day on investing and various other topics. There’s a plethora of online material available or you can still pick up a good book, those still exist you know. So what are some ways you are saving money? I use bing rewards. Do the phone, laptop, and daily specials and quickly work your way to gold status. Once or twice a month you can save enough to redeem a $5 gift card from amazon. I’m up to $15 at this point and about to get my next $5. It takes 2-4 minutes a day max. When you reduce the amount of money you need to spend every month, you are directly reducing the amount of dividend income you need to generate. It is a win-win for you. It can seem pretty obvious, but I think everyone should start by knowing where its money goes. Keeping track of expenses for a while always gives a good idea on where you can save. You make a good point. Keeping up with your budget and tracking your expenses is the perfect way to find out where you are wasting too much money. Hi, very good points that you told here. I think the most save-potenzial people can find in there freetime activitis. Then what people doing in there freetime: Going to restaurants, drinking a to the cinema, coffee with friends in a cafe, going shoping … things like that. And everything cost a lot of money. Many of these things u can do by yourself at your home. It only cost you some time. You’re right; people waste so much of their money on entertainment when they can get most of that at home for a fraction of the price. Biking is a great way to not only save money but to get some exercise. That’s great that you are able to take your bike wherever you need to. It’s much easier to do that in a city but not so much if you live in the suburbs. Thanks for stopping by all the way from Germany! I hope to visit your country again sometime.